Why should you use molasses in your garden? Molasses is a natural source of carbohydrates. Using it as a fertilizer provides plants with a quick boost of energy and encourages the growth of beneficial microorganisms creating greater natural fertility in a compost pile or good living soil. This allows the microflora to work in concert with plant roots to digest and assimilate nutrients. 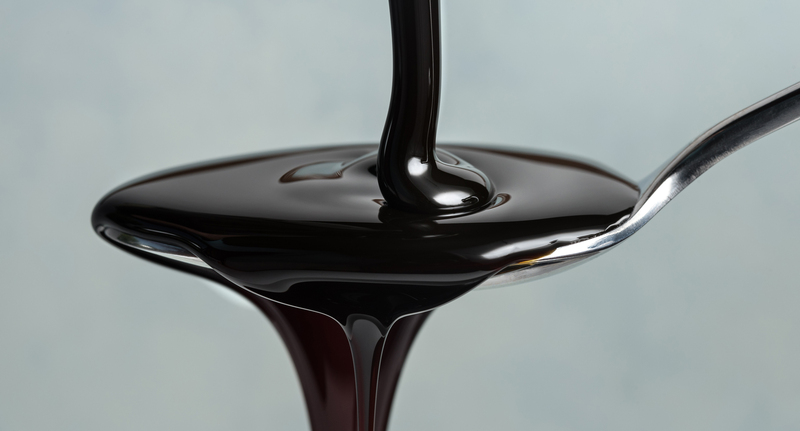 The process used to create molasses removes mostly sugars, leaving the majority of the mineral nutrients that were contained in the original sugar cane. These Include significant amounts of potash, sulfur, calcium, magnesium, iron, potassium and many other micronutrients. As well as providing energy and nutrients to plants and soil, molasses is a chelating agent. It reacts with metal ions to form a stable, water-soluble complex. This means molasses converts minerals and nutrients into an easily available form for microflora and plants. Chelated minerals can be absorbed directly and remain available and stable in the soil. Molasses is easy to use, and has many different applications. It can be added to liquid fertilizer, compost tea, alfalfa meal tea and kelp. It can also be added to water and sprayed directly on the plant leaves or poured on the soil. Use 1-2 tablespoons of molasses to a gallon of warm water and apply via foliar spray or directly into the soil once a week. The readily available sugar content will skyrocket the microfloral activity to give your plants the nutrients they need. Who knew something as simple as molasses could be so great for your garden? “420 Magazine ®.” 420 Magazine RSS, www.420magazine.com/forums/indoor-soil-cultivation/114725-molasses-everything-you-want-know-your-plants.html. Accessed 25 Sept. 2017. Patterson, Susan. “Types Of Molasses Fertilizer – Tips For Using Molasses In Gardens.” Gardening Know How, 27 Nov. 2016, www.gardeningknowhow.com/garden-how-to/soil-fertilizers/feeding-plants-with-molasses.htm. Accessed 25 Sept. 2017. Nauta, Phil. “Molasses For Plants – How To Use It In Your Garden.” Smiling Gardener, 15 May 2017, www.smilinggardener.com/sale/molasses-for-plants/. Accessed 25 Sept. 2017. Frewin, Jonathan. “What is black strap molasses?” Black Strap Molasses Fertilizer | Agriculture Solutions, www.agriculturesolutions.ca/molasses. Accessed 25 Sept. 2017. “MOLASSES.” The SoilGuy – Molasses, www.thesoilguy.com/SG/Molasses. Accessed 25 Sept. 2017. 475 E. San Francisco Ave.